A modern day Rip van Winkle, who had fallen asleep six years ago prior to the onset of the economic crisis, would awaken to a very different world today. In some ways, the world of 2014 is both the best and the worst of all possible worlds. But, in whatever way van Winkle viewed it, he would be utterly confounded by the reality of the new global banking environment. With relatively healthy economies now emerging around the world, one would think that bankers, regulators and politicians would be fairly at ease with the current state of affairs. Significant growth prospects have returned throughout virtually all of the developed world economies and meaningful recovery is underway in most banking sectors in most countries. Admittedly, clouds still hover over the Chinese banking and real estate sectors, and the Russia/Ukraine situation continues to be a concern, but an air of optimism has returned and global markets are responding. The present reality, however, is more complex than it may seem. In most jurisdictions there are still dramatic developments impacting banks, including increased capital requirements, leverage and liquidity requirements, country-by-country ring fencing, compensation caps, living wills, and global information exchange on accounts. There are also lingering legacy issues related to Libor, Forex, commodities and mortgage-related liabilities across many of the world’s leading banks. At times, it appears that we are still mired in the crisis and true recovery is still just a distant dream. Needless to say, just as the world looks at its most threatening, there often arises the greatest opportunity for those willing to take the plunge. The question is: where and how? It could be argued that independent banking in The Bahamas is a potentially optimizing response to the complexities of the modern financial and regulatory environment. Locally incorporated independent Bahamian banks have the good fortune of having avoided the legacy issues that bedevil the large global banks. The capital levels are acceptable; loan losses in recent memory have been low; the level of debt securitization has been minimal; and the inflow of capital has been positive. Moreover, the willingness of the Bahamian government to align itself with global best banking practices has been clear and unequivocal. At the same time, The Bahamas retains its global appeal as a low tax jurisdiction, with a wonderful climate and a minimal sovereign risk given its proximity to and close relationship with the US. There has also in recent times been the addition of a powerful balancing ally in the form of the government of China, which is supporting and providing substantial investments into Bahamian infrastructure and tourism. Given the dramatically limited options of individuals around the world wanting to legitimately mitigate tax obligations in their home countries, the new reality is that individuals seeking to optimize tax and quality of life issues would need to either redomicile, create legitimate tax efficient structures, or do both. These structures must, of course, accord with global best practice, as implemented in many Commonwealth countries (including The Bahamas) and the US. The redomiciliation option, in particular as regards The Bahamas, is clearly influenced by the rapid evolution of basic quality of life through further development of the telecommunications infrastructure, airline connections, airports, housing, entertainment and culture. In this new world, a clear and straightforward regulatory oversight environment, as prevails in The Bahamas, without conflicting or stifling higher levels of offshore oversight will facilitate the competitiveness of independent, locally domiciled banks. 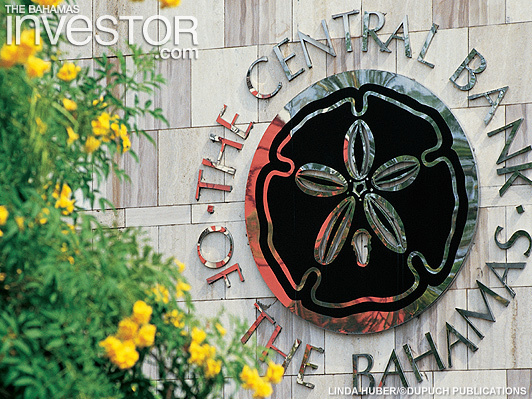 The keys to successful banking over time must be: conservative balance sheet management; adequate capitalization; minimal speculative risk taking; and a clear focus on client needs, combined with a clear and consistent regulatory interface with such local authorities as The Central Bank of The Bahamas and the Securities Commission of The Bahamas, among others. For bank owners and managers, as well as for clients, a consistent and predictable regulatory outlook, allied with an extraordinarily farsighted fiscal policy, means that The Bahamas offers some unrivalled benefits. While the world outside of the western hemisphere seems to be characterized by evermore volatile conditions, The Bahamas continues to appear an evermore attractive jurisdiction, with a steadily evolving quality of life for Bahamian residents and visitors, and a stable political and geopolitical environment.